Guild is a group of players united that can help each other, joining a guild increases your progress because you can get help from your guild mates even with constructions, resources or with researches.If you spent a lot of time in playing Lords Mobile, maybe you will have a chance to be a leader in a guild. This guide (written by XNightingale) will tell you how to manage a guild. have set up a general system of hierarchy that I would use for a guild. Rank V Guild Master/High Commander – Sets policies and promotes members. Chief Diplomacy Officer – Negotiates truces via diplomacy boards and PM with other clans. Chief Warmaster – Decides when to deploy troops and general battle strategy. Rank III -Senior Members of high activity and might. This is the general rank of sociable and trustworthy members. might; these members also have less association with the higher ranks. Rank I- New member/recruit. These members have things to learn and will eventually traverse into the second rank. use of military and war tactics. simply find a good area like previously mentioned. 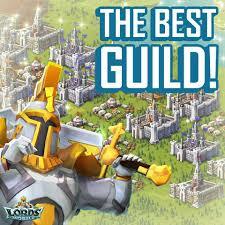 are not outdone by other guilds, but that is easier said than done. helps people speed up their constructing, research, etc. Trading – Simple. Ask if anyone needs any resources, if they say yes, then send them some resources if you have any to spare.